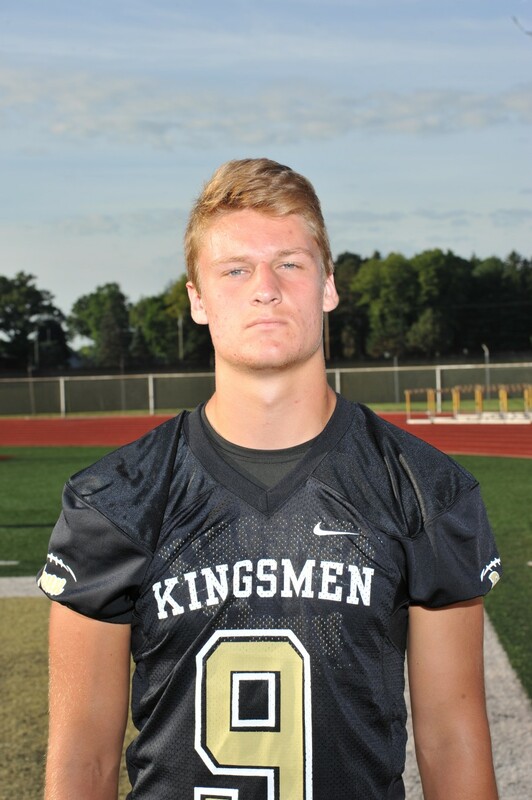 As the 2015-2016 high school football season was getting ready to kickoff, outside linebacker Connor Schneider was feeling great and ready to make an impact for the Penn Kingsmen. During the intra-squad scrimmage, Schneider was going to make a tackle, and little did he know, it would change his season. As the tackle was being made, Schneider felt a pop in his shoulder. After an MRI, he found out he had a torn labrum. Surgery and a long recovery followed. Schneider was devastated that his season was over, but did it stop him? Absolutely not. When the summer of 2016 came around and the off-season workouts started. Schneider worked and worked to not only strengthen his shoulder, but his whole body, mentally and physically. Working out everyday, getting bigger, smarter, and growing in size. At 6-foot-4, 210 pounds, Schneider is one of the biggest players on the field. The 2016-2017 season was around the corner, and Schneider was not aware of a big change. The coaches talked, and decided with Connor’s speed, strength, and size, would benefit the Kingsmen most at defensive end. Connor leads the team in tackles for loss with 6. He also has contributed 5 QB pressures, along with 5 QB sacks. Schneider is the 4th leading tackler on the team with 36 tackles. He has also caused, and recovered 1 fumble. Lots of adversity was put in Schneider’s path, but he refused to show weakness. Currently, he is the starting defensive end for Penn, bringing a lot of skill, and leadership to the team.